Kells Jesse and his wife, Sylvia Castillo-Jesse. 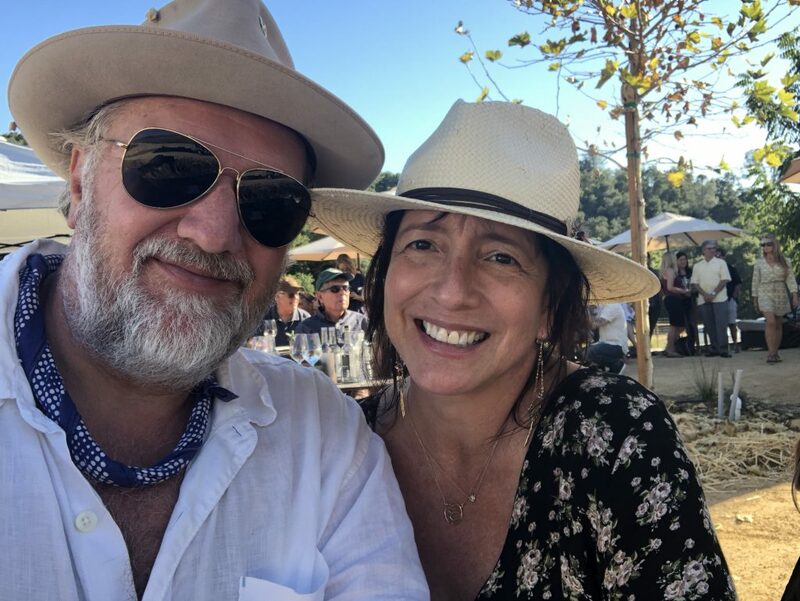 Kells Jesse, a production designer who lives in Venice, says that in recent years, he and his wife, Sylvia Castillo-Jesse, have made major lifestyle changes to prioritize their health. They optimized their nutrition and now eat a mostly vegan, plant-based diet; they incorporated more exercise into their routines; and last spring, they scheduled their routine colon cancer screening tests. She removed a small tissue sample to biopsy, which pathology later confirmed was adenocarcinoma. Jesse was shocked by his diagnosis. “When I heard the word ‘cancer,’ I couldn’t grasp it,” he says. His wife jumped into action, and worked with Dr. Farid to schedule a CT scan to make sure the cancer had not spread. Dr. Farid also referred Jesse to a surgeon who could remove the lesion. On many fronts, Jesse was lucky. While the CT scan showed a slight shadow on his liver, a follow-up MRI concluded that it was nothing to worry about. Then, after the diseased section of Jesse’s colon was removed in October, pathology confirmed the cancer had not invaded his colon’s walls or spread to his lymph nodes. Based on these findings, Jesse was told that he did not need chemotherapy and could consider himself cancer-free. After an emotional few months, he says he couldn’t be happier with the results. “This experience changed my life,” he says. This story ran in the Colon Cancer Awareness issue of The Checkup, a UCLA Health community newsletter on how to live your healthiest life.